… so I was in the little village of Laceby a few weeks back having our Mini serviced and I was approached by a chap who’d clearly come out of the service yard. He told me that he and his wife were very disappointed that I wasn’t at the Lincolnshire Food & Gift Fair last year as they’d turned up especially to see me. It’s hard to know what to say in situations like this – I love what I do and writing a blog is a platform that by its very nature is out in the public domain, but there’s an element of anonymity provided by the internet. When it comes to food-demoing you’re very much out there. People can see who you are, how you work and, most importantly, can actually taste your food then and there. Of course this doesn’t really worry me as I really enjoy the live aspect of it all and it really thrills me when people feed-back that they’ve looked forward to me being somewhere or that they’ve gone away and cooked my food is always surprising and rather humbling. So the point to this all is, is that I’m back at the show and demo-cooking in The Lincolnshire Kitchen, which is very exciting. I love this show! It celebrates everything I love about gifting; firstly, there’s my love for Christmas itself. It’s quite simply my favourite time of year – there’s just so much joy around. Time for family and friends and eating wonderful food and the Lincolnshire Food & Gift Fair really reflects this.. I mean, two halls filled with Christmas! Secondly is all the artisan producers creating beautiful things that clearly show the love in the making and therefore make the gift all the more special. The fair brings all these brilliant people together under one roof, from cheese makers to candle makers and everything in between. after 30 minutes take the dough out of the fridge and divide it into two even portions, placing one portion back into the fridge whilst you roll out the first portion on a well floured surface… I like my pastry a medium thickness and because this pastry is so damn good you want it to be quite thick! roll out the pastry into a shape that completely covers your tart, then using a knife or a fluted pastry cutter cut the pastry into even strips roughly 2cm wide. 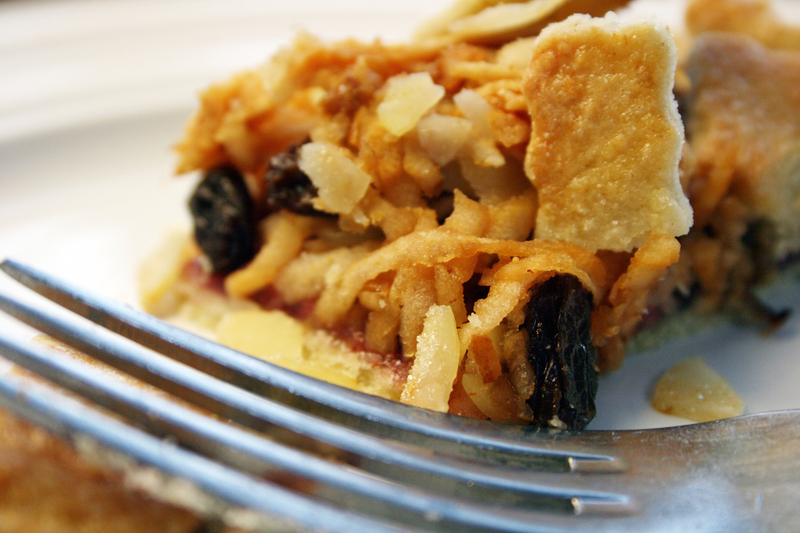 What a divine looking tart! I will certainly give the almond pastry a try. I have one of those tins AND a pastry wheel, although I'm not sure which country that is in. I do hope we can pop across to the food fair this year, we really enjoyed it last time. 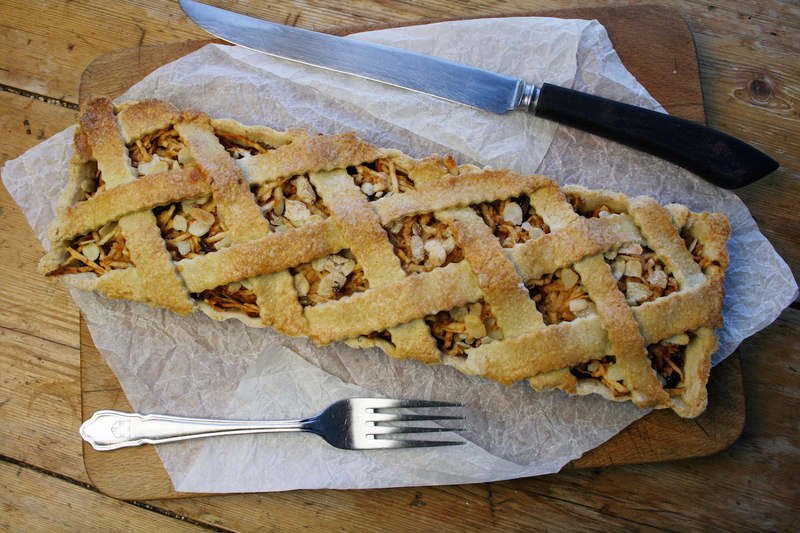 I love to see a correctly made lattice topping a tart, and the filling sounds delicious too! 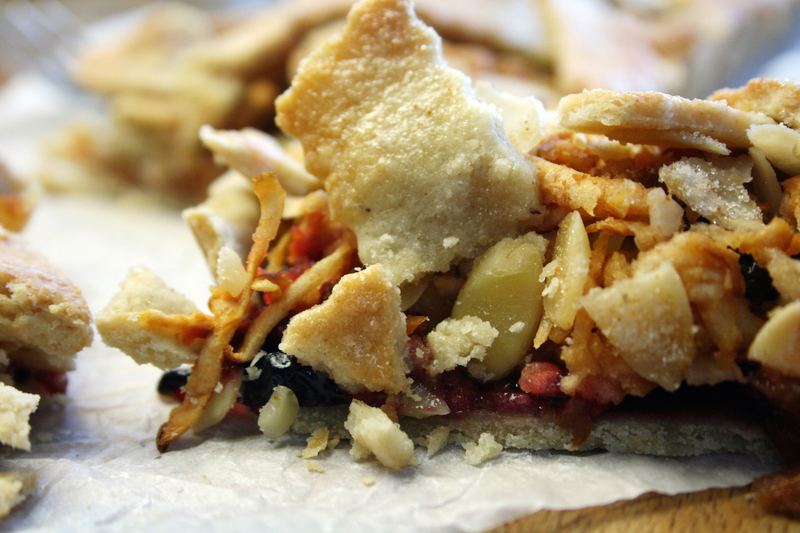 I've never tried grated apple in a tart, but must remedy that soon. Why thanks Suelle. Do give it a try. You'll love it. 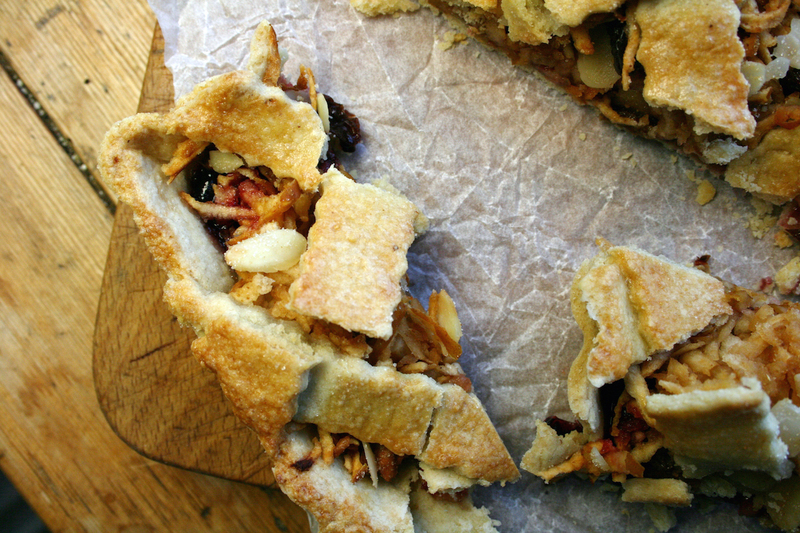 Oh my – this is gorgeous and you've sold me on the almond crust! I can't wait to try it. Love your lattice work too. I love grated apple in so many things, such a great thickener. You're a star in so many ways Dom! 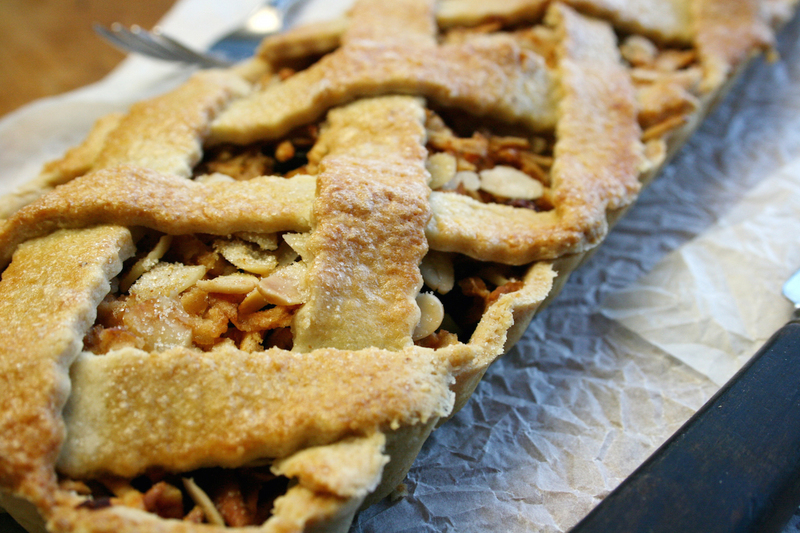 Another luscious Autumn bake Dom…..beautiful flavours and perfect lattice-work.